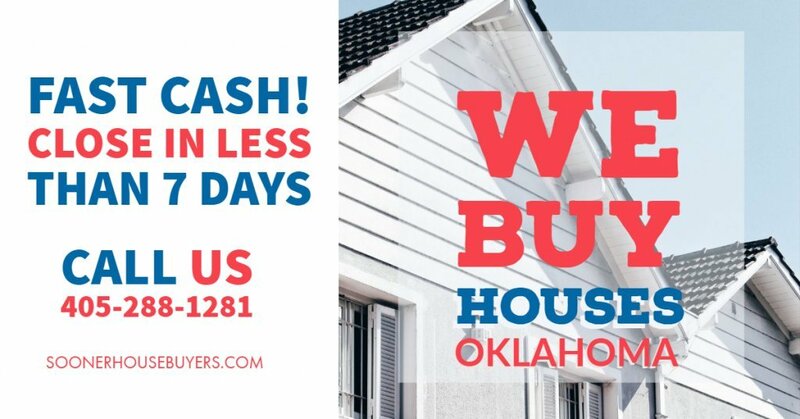 Sooner House Buyers are Cash House Buyers Anywhere In Oklahoma City, Midwest City, Edmond, Shawnee, Norman And Within Moore, Oklahoma, In Any Condition and Any Price. Check Out How Our Process Works. We’re Ready To Give You A Fair Offer For Your House. Need help selling your house fast? You’re on the right site! Sooner House Buyers help families or anyone who are who wants to sell house quickly. We provide win-win solutions to help homeowners get of their sticky solutions… like foreclosure, owning a burdensome property or anything else. We are a company that cares about your and your situation. We make sure we put your best interest in mind. so If you want to sell your house fast… we’re ready to give you a fair all-cash offer for your house. We buy houses in any condition anywhere in Moore, Oklahoma – yes you’ve read it right – We buy ugly houses. You don’t need to spend money repairing your property. It doesn’t matter whether you live in it, you’re renting it out, it’s vacant, or not even habitable. We can buy that house in any condition or situation. Are you trying to sell your house fast in Moore, OK? We know that every situation is unique but if any of these describes the situation that you’re in. We can help you sell the house fast. Avoiding Foreclosure – How do I avoid foreclose? Can I sell my house during divorce? Are you relocating and need sell your house quickly as possible? SELL YOUR HOUSE FAST NOW IN OK! Don’t waste time finding a real estate agent who you trust and who can deliver on their promise of selling trust and fast. No need to sign contracts that binds you to an agent for a certain term. No Hassle – No Obligation. We will take care of all the paperwork. No waiting around. We will close with a reputable , local title company. We help property owners just like you who want to sell house fast , in all kinds of situations. From divorce, foreclosure, death of a family member, burdensome rental property, and all kinds of other situations. We buy houses in Oklahoma City, Midwest City, Edmond, Shawnee, Norman and surrounding areas and pay a fair cash price, fast. Sometimes, those who own property simply have lives that are too busy to take the time to do all of things that typically need to be done to prepare a house to sell on the market… if that describes you, just let us know about the property you’d like to be rid of and sell your house fast for cash in Moore, OK.